Ski holidays. They’re the greatest. It’s pure bacchanalia on the slopes and when the party’s that good, why stop? From sundown to sunrise – here's OnTheSnow’s pick of the best party ski resorts to stay out all night in. St Anton’s reputation as an après-ski destination precedes it and for that we give it 10/10. Everyone’s heard of the resort’s “legendary” bars: the MooserWirt and the Krazy Kanguruh, also known as “KK”. The former is the busiest bar in Austria, kicks off at 3pm and sees gazeeboed Brits dancing on tables loaded with beer and drenched in the frothy stuff. 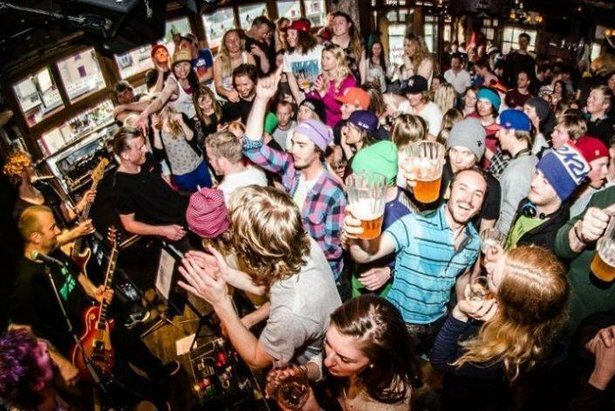 KK, now owned by Olympic ski champion Mario Matt, is the oldest après ski bar on the mountain – it’s less cheesy than MooserWirt but no less insane. Both bars host epic parties throughout the day but close early doors at around 8pm. For proper late night partying, head to Kandahar. The bar is open from 4pm for après and offers live music from 5pm. As the evening starts, the bar turns into a restaurant and from 7pm you can order Thai and Indian food. Later, the restaurant turns into a top nightclub where all can rave until 3am. 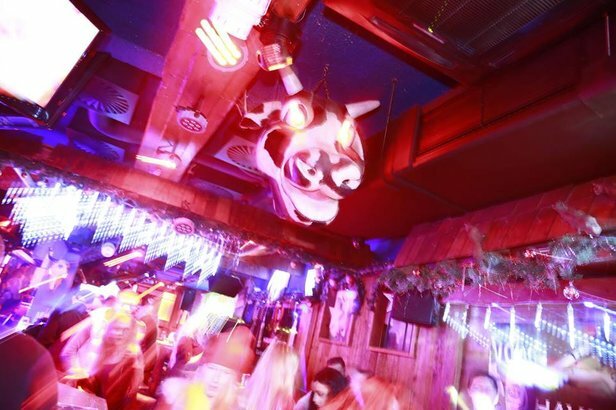 Another local favourite is the Horny Bull where international DJs play the best beats from 11pm-3am. Other late-night party ski resort bars include Piccadilly, where ski-wear is not allowed after 9pm, and the Underground on the Piste. Revellers at Ischgl can party longer and harder than their often younger counterparts at St Anton. While the latter is undoubtedly the King of après, and the more famous of the two, Ischgl is considered by those in the know to have as good, if not better, expert terrain and wilder nights. The town itself is postcard pretty and exudes a sophisticated vibe and with the plethora of bars on offer there is something to suit all tastes and ages. A new swanky addition to the ever-expanding number of party ski resort bars is the Champagne Alpine Lodge where you’ll find a variety of champagnes in a cosy lodge atmosphere. Après here starts at 3pm and continues until 4am. Other well-known establishments include the rowdy Trofana Alm located next to the five-star Hotel Trofana Royal – it’s always thronging with Austrians and Germans and has a European playlist to match. The Kuhstall, with 27,000 facebook followers, has DJs and dancing until the early hours. Live music, laser shows and table dancers can be found in the Showarena at the Trofana Royal Complex. But the real survivors head to Pacha at the Hotel Madlein – all sophisticated interiors, a well-to-do crowd, and half-naked women and men dancing on the stage. Snowboarding mecca Mayrhofen is another one of our top contenders for rocking nightlife and is especially good for a younger crowd. This party ski resort is famous world over for hosting Snowbombing; an epic week-long winter-sports and music festival which features huge artists in pretty sweet settings. When the festival packs up, the party continues and there’s a wide variety of nightspots to choose from including dozens of British boozers and pubs on the main street (check out the cracking Scotland Yard) as well as more sophisticated venues. The Ice Bar, next to the Penken gondola and located at the Hotel Strass, is extremely popular, and the Speak Easy Arena, also in the Hotel Strass, is one of the resort’s top venues. It has live music and plays a mix of pop, drum and bass and dubstep and Austrian dance tunes. Bruck’n Stadl, near the Ahorn cable-car bottom station, welcomes all merrymakers, young and old, it doesn’t matter as long as you can handle the pace! The party starts at lunchtime and continues until 2am. The two main nightclubs are the Arena and the Schlussel. Arena Night Club is part of the Hotel Strass and has huge capacity in the basement - expect techno beats and an urban style. Schlussel in Ahornstrasse stays open later than the other – until 6am! Steep off-piste terrain and a strip of bars that have earned it the nickname of Las Vegas of the Alps, Les Deux Alpes is a resort that knows how to party hard. The twin villages of Venosc and Mont de Lan make up the resort and these are linked by a 2km long strip which is filled with bars, restaurants and clubs. The villages themselves have retained much of their original charm and are made up of traditional chalets and 1970s apartments – many of which have had makeovers in recent years to create a more Alpine feel. Most of the action on the strip is to be found at the southern end in the Alpe de Venosc area. 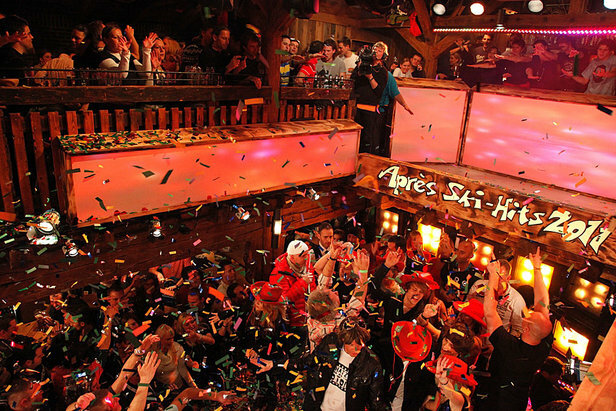 Smokey Joe’s is one of the main après ski spots with nightly live music and a happy hour from 18.00 20.00. For a bit of Irish, head to O’Brian’s Pub, which has a disco from 10pm and closes at 2am. You’ll find an international crowd at L’Avalanche which has been rocking hard for twenty years and is something of an institution for late night revellers. 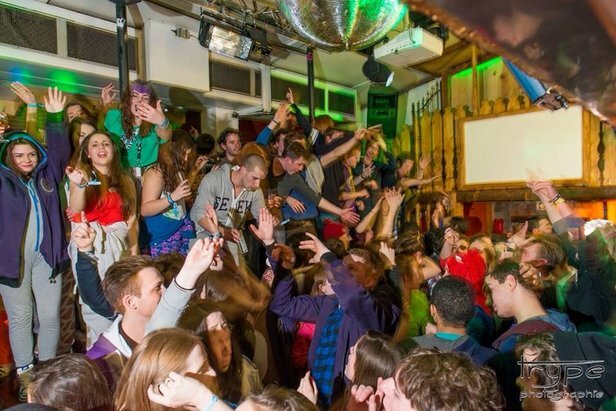 L’Avalanche Club features a mix of dance and house music with themed nights and competitions and is open until 4am. The resort known for its expert terrain is equally good at partying. There is an abundance of bars, over 30, which are open from late afternoon until the wee hours – many have live music nights and don’t close until 2am. Teens and twenty-somethings are likely to be found in the triangle of bars just off Avenue Michel Croz: Elevation 1904, Moö and Chambre Neuf. And no trip to Chamonix would be complete without a visit to the latter which draws visitors and locals alike. The bar is open all day from 8am until late with happy hour taking place between 8pm-10pm. Live music takes place on Sunday through to Friday from 5.30pm until 7.30pm. Also popular is underground club Le Tof, Chamonix’s only official gay bar, which welcomes punters on Monday through to Saturday from 5pm to 4am. Le Tof puts on themed nights along the lines of Electro house, 80s, Singles Night, and Drag Night Parties which make for eccentric and naughty but fun nights. Just around the corner from Le Tof is L’Amnesia – Chamonix’s largest club which stays open until 4am. Entry is normally free except when they have occasional themed nights such as foam parties and lingerie shows. Those with any stamina left should head to The Bunker Nightclub. With 45 flavoured vodkas to keep you going strong, the club stays open until 7am. From its famous on-mountain Unbuckle Après Ski party hosted at Tamarack Lodge, to sell-out shows, to the electric atmosphere of the casinos and clubs, Heavenly is in a league of its own. Here, you can party all night and worry about sleep later. Indeed, it’s the only resort to offer 24/7 casino entertainment at the base of its mountain. 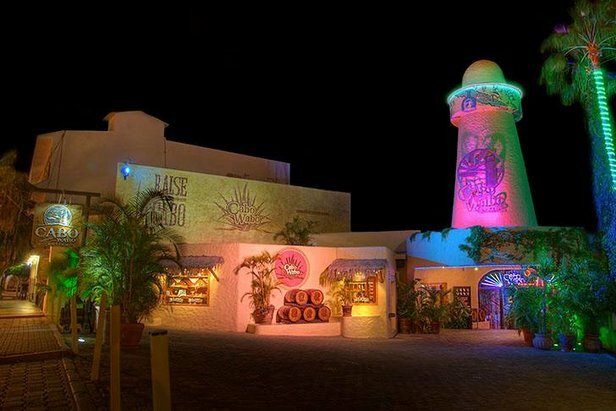 No trip to this party ski resort would be complete without a stop at The Cabo Wabo Cantina in Harvey’s Casino. The venue is a popular Mexican restaurant that morphs into a late night dance floor. It attracts a cool crowd and stays open well into night with live entertainment five nights a week.